Peter Brunn is the vice president of organizational learning at Center for the Collaborative Classroom. Previously at Collaborative Classroom, he was the director of professional development, director of staff development, the assistant director of the Reading Project, and a staff developer. 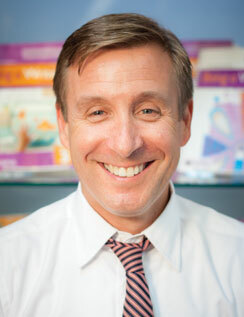 Before coming to Collaborative Classroom, Peter was a staff developer for the Teachers College Reading and Writing Project and worked in New York City public schools helping teachers implement reading and writing workshops in their classrooms. Peter received his master’s degree in curriculum and teaching from Teachers College, Columbia University, and his undergraduate degree in history from Marquette University. Peter is also the author of The Lesson Planning Handbook: Essential Strategies That Inspire Student Thinking and Learning, published by Scholastic. Follow Peter on Twitter at @pdbrunn.